Real Review! 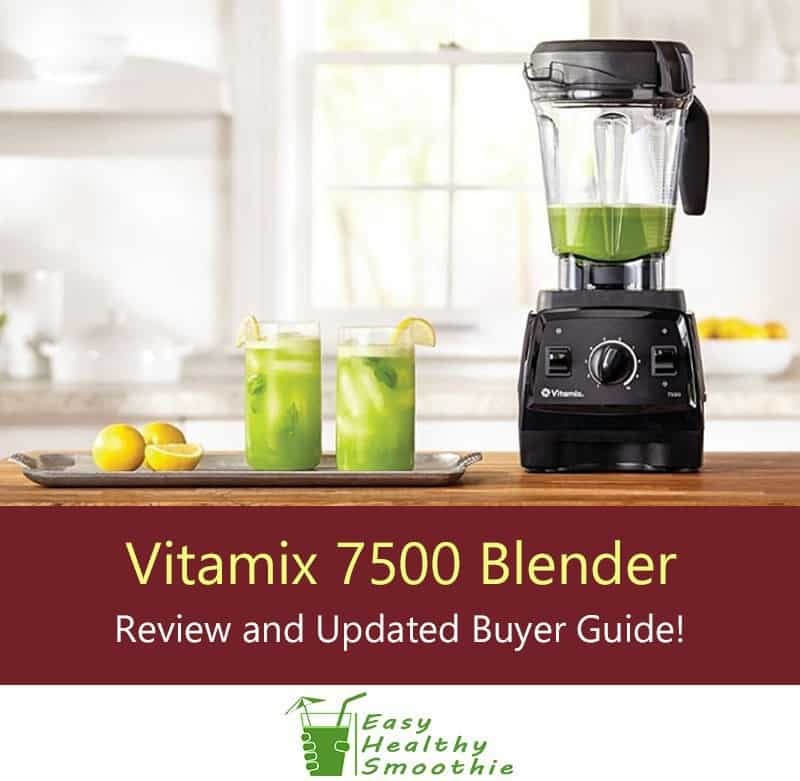 Vitamix 7500 - Is this the perfect blender for you? Is this flagship model from Vitamix really fulfill its promise to be the ultimate high quality blender? We took it for two months of rigorous tests, alongside our trusted Blendtec, and the results are here! 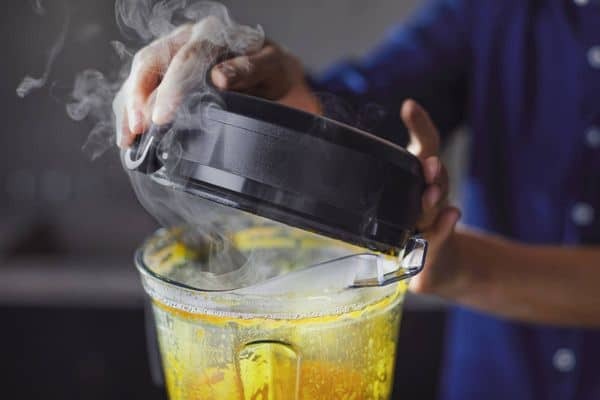 VItamix is a leading name when it comes to blenders and well known for creating powerful and durable machines that can tackle a very wide range of ingredients. The Vitamix 7500 is is a great combination of aesthetics and power and is tough enough to handle pretty much anything you care to throw at it. It has a few upgrades on some of its Vitamix predecessors, which are designed to help you to make the best smoothies, soups and other dishes time and time again. This model is also easy to use and clean. Powerful and easily handles the most challenging recipes. Pulse setting is ideal for achieving lots of textures. Very easy to clean. Super easy to operate - just a couple of dials and knobs! 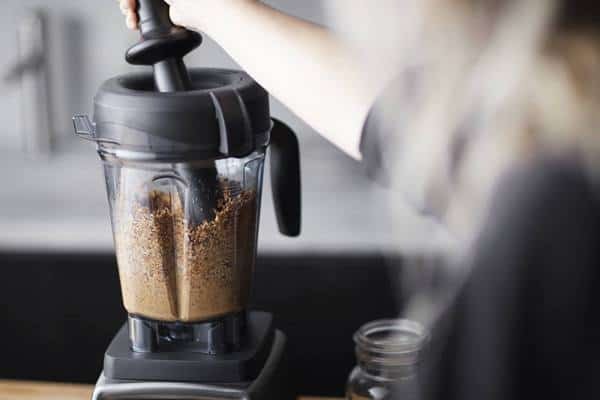 We’ve found this blender to have impressive power, so much so that it can handle pretty much any ingredient you throw at it - including nut, blocks of cheese and ice. It makes light work of all of these. Why buy the Vitamix 7500? If you’re committed to improving your lifestyle by making delicious and healthy smoothies, juices, soups and desserts, you’ll need a blender that can deliver impressive results. This blender definitely falls into this category. I’ve found that it helped me to create smoothies and desserts that are healthy alternatives to ice cream and other sweet treats. 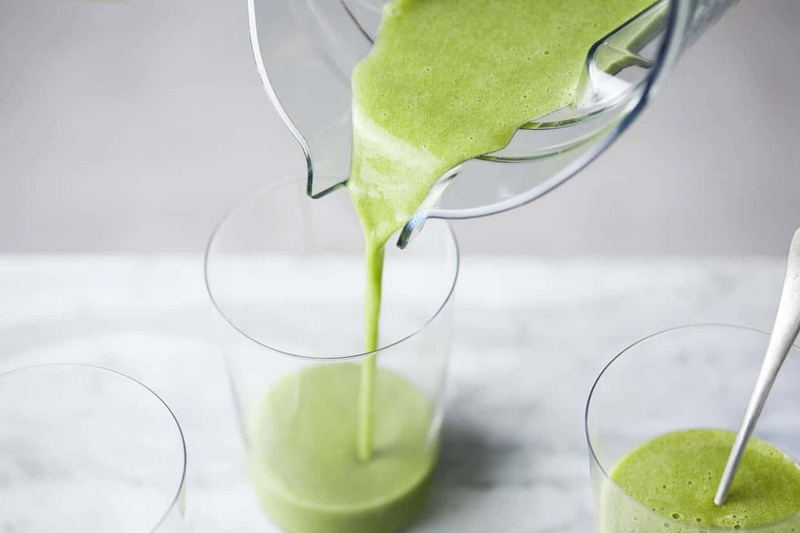 The ultra smooth blending experience means no nasty surprises with bits that haven’t blended properly - perfect for tough ingredients such as kale that lower power blenders can’t always handle. It’s also great for making nut butters and hearty soups, especially with the ability to keep food warm too. If you’re looking for a blender that goes far beyond smoothie making, you’re sure to be impressed by the capabilities of this mode. Individuals and families looking for a versatile appliance that can do much more than create smoothies, including soups and desserts. Anyone who wants a robust blender that is built to last. If anything does go wrong, the 7 year warranty means you can easily get replacement parts or a new blender if needs be. Anyone who just wants their blender to make smoothies and doesn’t have high power blending needs. The Vitamix 7500 goes far beyond smoothies and this is reflected in the price tag. If you are on a tight budget, you might want to check out cheaper alternatives, such as the Ninja. You can do a lot with this blender and it has the power to tackle ingredients that will ruin lower power alternatives. It’s very good at crushing ice too. It’s an easy to use model that is built to last and the variety of tasks it can perform means you’ll wonder how you lived without it. One of my favorite uses for the Vitamix is homemade peanut butter! Easy to make hot soups. The Pulse setting is ideal for making chunky soups and the friction created by the blades means you can serve it at optimum temperature right from the blender - no need for heating! Easy to make healthy chilled desserts. It’s easy effortless to create chilled desserts such as ice cream and sorbets. Mixing and kneading capabilities. You can mix batters and knead dough with this model - perfect for making waffles, cakes, cookies and muffins. Great at crushing ice. 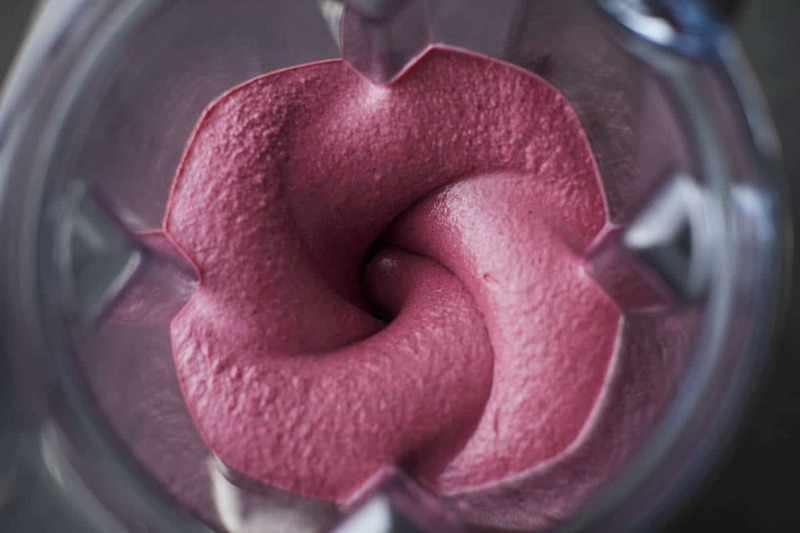 Not all blenders can crush ice but this is another task that the Vitamix 7500 can perform with ease. You can easily change the speed between the 10 different options while blending - perfect for creating lots of different textures at the touch of a button. There’s nothing overly complicated about using the 7500 - it’s thr simplest I know of, in design and usage. This model can clean itself quickly and easily with a bit of soap and plenty of water. The usual advice is to half fill the blender with water and add a few drops of soap. Then just switch the blender on for around 30-40 seconds. The dimensions are 7.7” wide, 17.5” tall and 9.4” deep. 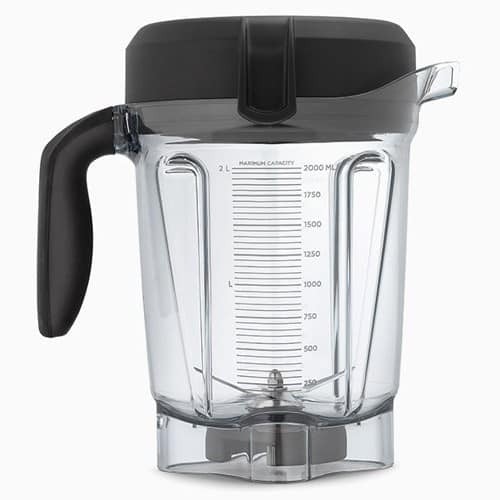 The 64-ounce container means you can create batches of smoothies or soups in one go but it’s still a fairly compact blender that is really easy to store and fits neatly under most kitchen cabinets. The Vitamix 7500 has a simple design and is easy to use. There are three controls: On/Off, Pulse and a power dial (with 10 speed options). It’s simple enough for beginners to feel comfortable with. You can easily change blending speed while the blender is being used - perfect for achieving a range of textures, depending on what you’re creating. Easy and quick controls - just 3 of them! The color choice isn’t as extensive as with some other blenders but there are a few options. You can pick from stylish black or white designs, or a more lively red shade. It has an impressive 2.2 horsepower capability, which is a touch more powerful than many of its Vitamix counterparts. This is one of the blender models that can create heat through the friction of the blades so it can also heat food and keep it hot. 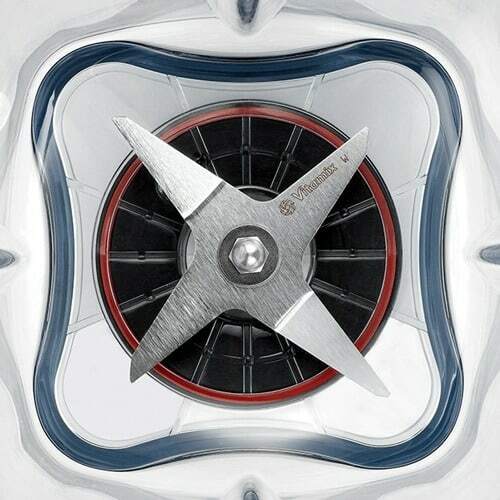 The blades are sharp so you’ll need to be careful if you handle the inside of this blender. As with most blenders, it’s fairly noisy but no worse than most other high power blenders. It’s loudest when crushing ice. And as it’s quick to blend, the volume isn’t going on for too long. This machine is a dab hand at blending ice and doesn’t need any water to help it either. This model comes with a 64-ounce jar. This is wider and shorter than before, which makes it easier to store under kitchen counters. There aren’t any add-ons to the 7500 but it does already do pretty much everything already! Vitamix products come complete with full warranty of 7 years. This covers all parts and includes two way shipping so it’s hassle free to get things fixed if anything goes wrong with your blender during this time. Vitamix’s customer service has a very good reputation and they also offer free shipping on repairs. There are a few alternatives to the Vitamix 7500 that you may want to consider depending on your needs. For the 7500, Vitamix have built on the features of previous models. It has a more powerful motor and the container is a little more compact for storage. The high/variable setting of some of the previous models is also replaced by the Pulse setting. On paper, these two models are very similar but there are a couple of differences. The 750 costs a bit more, perhaps because of its 5 preset programs. The 750 also come in some sleek colors including stainless steel, which isn’t available for the 7500. The 7500 has a bit more power than the 5200. Whereas the 5200 is quite tall and bulky, the 7500 is smaller in height and easier to store. The 7500 is slightly more expensive. The 7500 is more powerful and has a superior cooling system. This means you can blend for longer with no risk of overheating the motor. Neither of these models have pre programmed settings. They both have a range of 10 settings and the Pulse feature. The 300 uses the same technology as the 7500 and the controls are the same too. There aren’t too many obvious differences between the two models in terms of specs and capability. These models are on a par when it comes to capability. The 500 has 3 pre programmed settings for a consistent blending experience. This is one area that it can be a cut above the 7500. 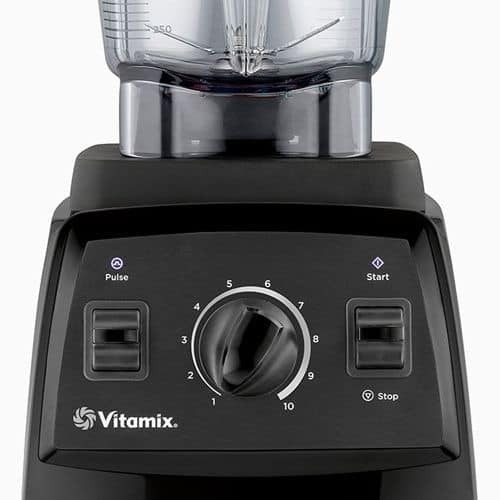 The 780 was the first Vitamix to feature touchscreen technology. Reviews have indicated that the touchscreen can sometimes be temperamental and requires several attempts to work. The icons for pre programmed settings have also been confusing to some users, leading to surprising results! The main difference with the Creations Elite is the smaller container, which weighs in at 48 ounces rather than the 64 ounces of the 7500. This makes it easier to store but doesn’t allow you to create the same amount in one go. The 7500 can handle a greater range of foods than Creations II, especially tougher ones. Reviews suggest that although Creations Elite can perform lots of roles, the 7500 makes better salsa. One advantage of Creations II is the accompanying travel bottle so you can blend and go. The 6300 comes with 3 presets for smoothies, hot soups and frozen desserts for easy control over blending. You can walk away whilst these are blending. The Ninja Ultima is a touch more powerful. Both have the 10 variable speeds and Pulse feature. Whereas the 7500 has a low pitch container, the Ninja Ultima’s container is larger and more cumbersome. If you like to blend and go, the Ninja Ultima comes with 3 single serving cups. The Blendtec Designer range is a little quieter than the 7500. If your budget doesn’t quite stretch to a brand new Vitamix 7500 but you still have your heart set on owning one, consider buying a reconditioned model instead. This is actually great value - you get a factory tested and certified appliance, with a brand new jar, at a price that can’t be beat. You can find them on this Amazon page. I recommend buying online to get the best price, and with vendors such as Amazon you can also take advantage of free shipping and easy delivery straight to your door. It’s almost always more expensive to buy directly through Vitamix themselves. If you’re looking for a blender that is robust, versatile and capable of handling pretty much anything, this could be the blender for you. It’s a great option for anyone looking to make healthy smoothies and other recipes and it’s robust and versatile enough for even the toughest ingredients. With its simple design, it’s easy to use and clean. The change in container size also makes it easier to store. If you have any questions about this blender or want to share your experiences of using it, you’re welcome to use the comments section below.